Pile cloth media filtration is commonly used for tertiary treatment. In these filters, the pile cloth uses depth filtration to provide solids-liquid separation to remove a wide range of particle sizes. Little Falls Run currently has a design average daily flow of 4.0 mgd and actual flow of 3.45 mgd. 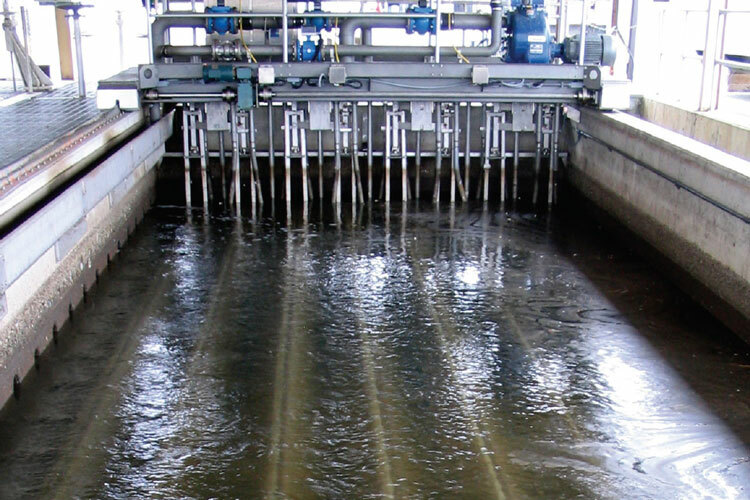 Current discharge limits for the plant include 9 mg/l BOD, 9 mg/l total suspended solids and 2 mg/l total phosphorus.